Christians do not trust freedom. As author Steve Brown explains in this brave new book, they prefer the security of rules and self-imposed boundaries, which they tend to inflict on other Christians. Brown asserts that real freedom means the freedom to be wrong as well as right. Christianity often calls us to live beyond the boundaries, bolstered by the assurance that we cannot fall beyond God's love. Freedom is dangerous, but the alternative is worse -- boxing ourselves up where we cannot celebrate our unique gifts and express our joy in Christ. Each of the book's eleven chapters explores a common pharisaic, freedom-stifling tendency, then opens the door to the fresh air of a remedial liberty. 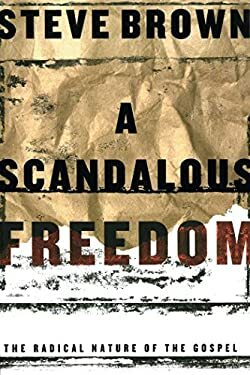 A reader's delight, "A Scandalous Freedom" sometimes shocks with challenges to prevailing wisdom, but it follows up with compelling validations of our need to celebrate real, unstinted freedom in Christ.